Eventually, putting it back together! 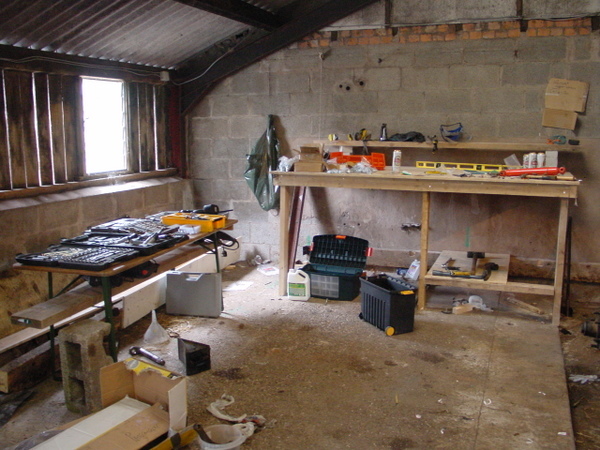 We thought a little organisation may be a good thing, so I built another industrial workbench. They're never pretty, but you could park a mog on it. 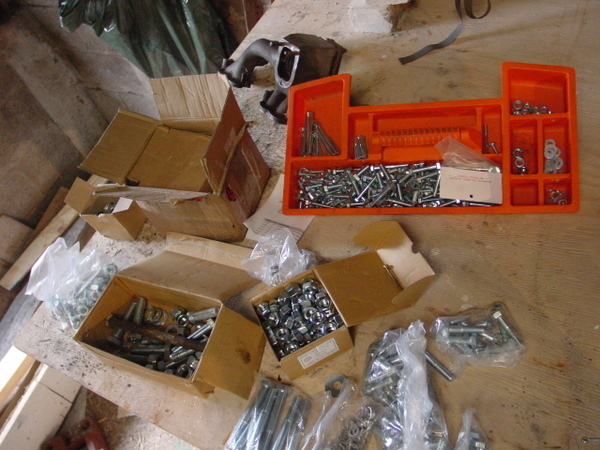 The other thing you need are bolts, lots of bolts. 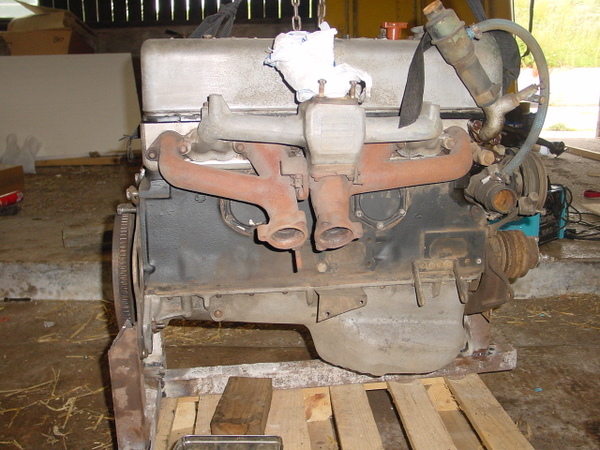 Had a quick clean of the engine. We're not doing anything serious with it, as it runs and is solid enough. 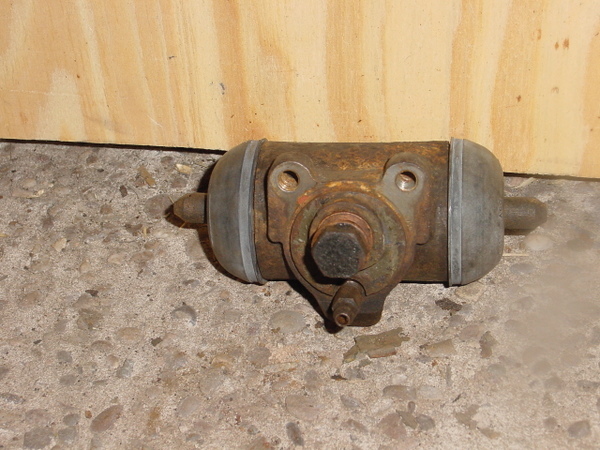 We've some new bits for it, and we need to attach the vacuum advance (distributor is from the wrong merc). We're doing the brakes end to end. 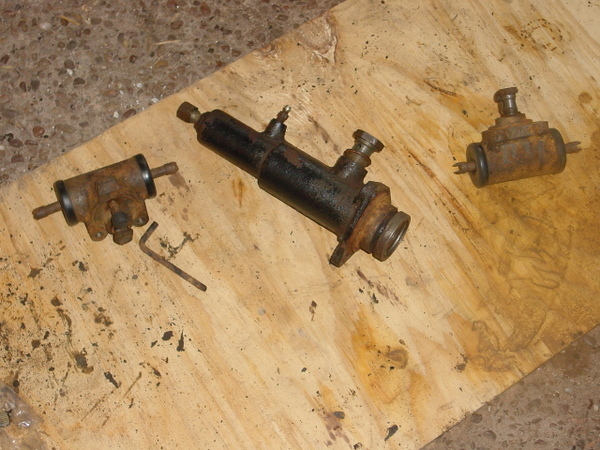 The master cylinder is here, done - as are the rear slave cylinders. We've bought new tubing, new rubber pieces, rebuild kits and new shoes. It'll be nice to stop. It only has drum brakes, but they're a foot across. The fronts have been done as well. It should drive well; new dampers, suspension mounts, steering box, brakes and clutch. 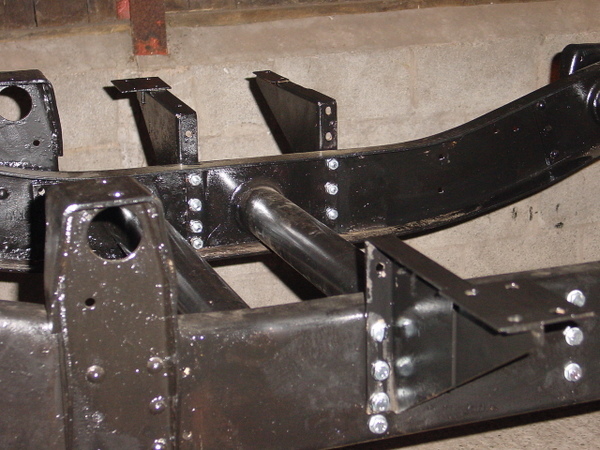 Finally, bolting the chassis back together! Having an air ratchet for initial tightening and then doing a couple of progressive rounds with an impact wrench makes for easy work. Eventually, the tanks and batteries will go inboard. In the short term, the tank'll go where it should, and the batteries will go on tank mounts fitted on the other side. Ahh, more putting together. The brakes have been done, bar one bit of pipe that needs making. Having new hoses makes it look good, as does having stripped it down beforehand - the brake lines aren't painted. It looks like a new unit. 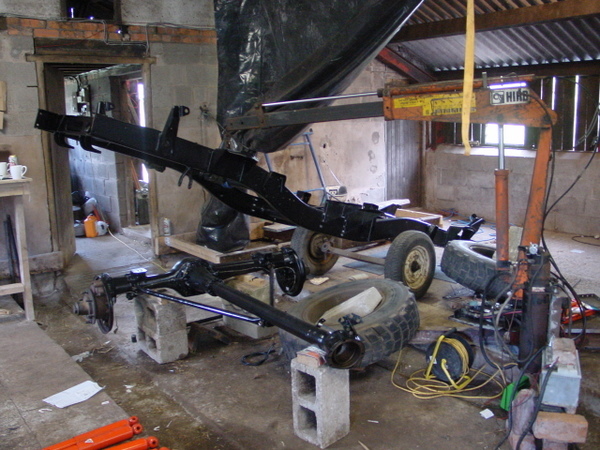 The HIAB is called into action once more as the chassis is ready to go onto the back axle. 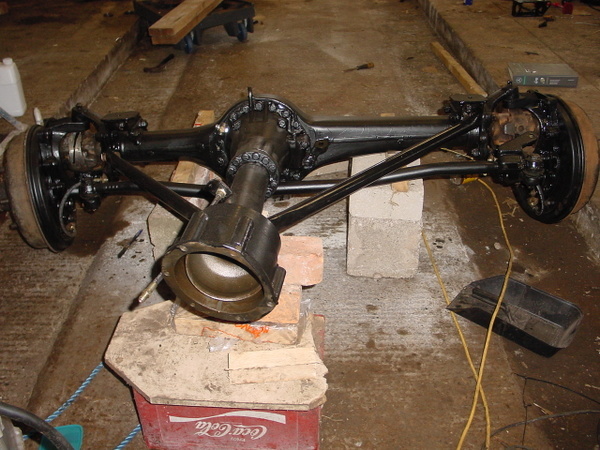 Today we're aiming to put the chassis back on the rear axle and then fit the gearbox. 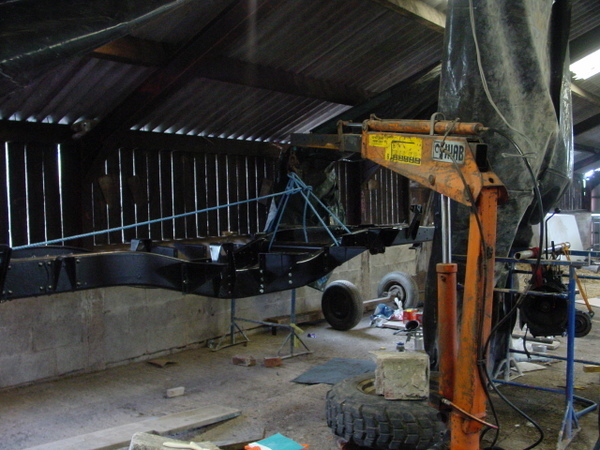 This also involves putting the transmission carrier back on, if we're really fly, we'll have a go at putting the front axle in as well. Obviously, nothing ever works that well. 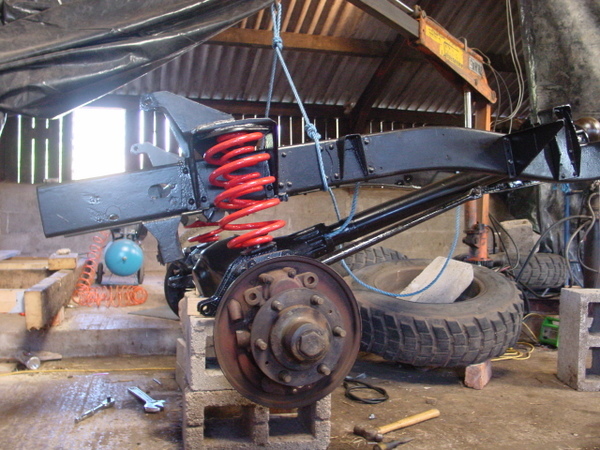 Springs on now for a touch of colour, the shocks are a similar red.